On October 27th Pope Benedict XVI convened religious leaders and representatives to Assisi, to commemorate the first Assisi interreligious meeting, convened by Blessed Pope John Paul II, 25 years earlier. 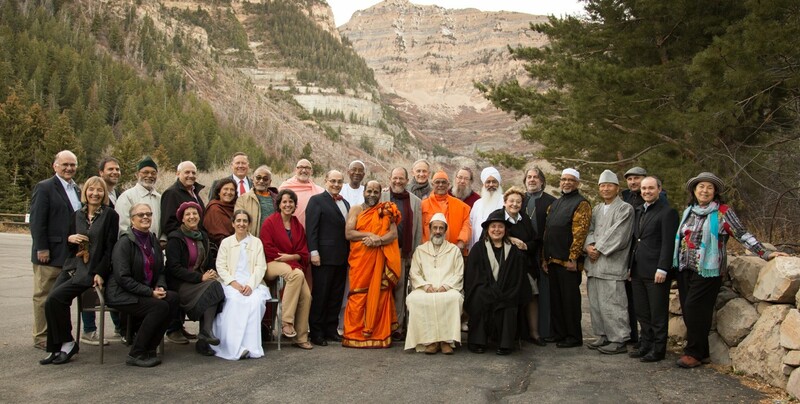 Many of the members of Elijah’s Board of World Religious Leaders took part in this important gathering. The daylong event was titled “Pilgrims of truth, pilgrims of peace: Day of reflection, dialogue and prayer for peace and justice in the world”. It was an impressive gathering that delivered a powerful message of dedication of religious leaders to peace and justice. The message was delivered in two cycles (both of them can be viewed on http://benedictxvi.tv/site/category/archive/2011/). The first consisted of a series of short speeches, delivered on behalf of the different religions. The second was more of a public spectacle, highly choreographed, consisting of a series of read pledges and commitments to peace, interspersed with song, dance and other public gestures and “gimmicks” (used here positively, such as the release of white pigeons), to deliver a message of universal peace. It was an event that by all accounts could make a difference in the public perception of religions, their relationships and their contribution to world peace and stability. Having spent the day watching the event, I found it an occasion to reflect on the meaning, value and methods that serve us in interreligious work. The thoughts were sobering. Having been moved by the event, I sought to assess its public impact. A quick search on CNN and the New York Times’ websites suggested the event was overlooked by them. Searches on other major media yielded a similar result. Further search, using Google news, established a sad fact: the event was ignored by all the major news media. It was picked up mainly by Catholic and local media, and figured mainly on blogs, not as important news. At most, it received very short notices that failed to capture the true significance of the event. In other words, for all its beauty and power the event failed to reach the world’s attention. This, I am told, was quite different from the reception that the original Assisi event received in the media. This fact was particularly disconcerting since the day was structured more as a public demonstration of commitment to peace, than anything else. Despite its title, there was no dialogue in the program. A series of addresses by representatives of different religions does not, in my view, qualify as dialogue. Even more significantly, unlike the original Assisi meeting, and despite its title, there was hardly any prayer in the meeting. Stolen moments of prayer by individual speakers and an ever so brief moment of silence were the only remnants of the original event being commemorated. Theological opposition to the possibility of common prayer is said to be the reason for this. Further complicating matters was the inclusion of non believers as well as representatives of indigenous religions. This made it harder to assume a common God addressed by all, and made the basis of the meeting our common humanity and the need for our religions to serve the well-being of humanity. The format of pledges, declarations and a public spectacle thus were the most appropriate means of delivering this public message. 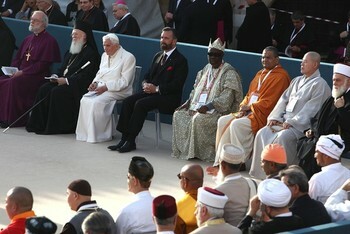 As those who attended the meeting were already convinced of the importance of delivering a message of peace in the name of religion, the importance of the pledges, indeed of the gathering itself, was mainly in the testimony it provided to the world – a testimony of the enduring value of the original Assisi event, and of the commitment of religious leaders to peace and justice. But if dialogue and prayer were replaced by the attempt to deliver a message, the fact that the message did not reach broad public awareness is at least a disappointment, and in some ways even a sign of failure of the most important dimension of the meeting. We who labor in the field of interfaith relations are often accused of preaching to the converted. Here was an opportunity to offer a global testimony to a different way of being religious, and that testimony seems to have been largely ignored. The problem may simply be one of public relations. Commentators often observe that the Vatican has difficulties with public relations. With responsibility for daily events featuring a global star, the Vatican press and public relations officials may have not given the event the attention it deserved as a moment that could help shape public awareness on a major issue. But that itself says something about priorities and the significance attached to the event. The Pope’s travels and world youth day certainly draw major media attention. Why not this event? As someone who has repeatedly sought to draw media attention to the work of religious leaders in service of peace, I fear the problem may be deeper. The major media, in a vicious cycle of what they claim their audience wants and what is considered newsworthy, simply ignore the good news of religion, preferring the bad news of violence in the name of religion as mediatic and newsworthy. It would require major funding to launch an alternative media campaign highlighting the good. Perhaps the answer to how to reach the public at large is indeed to give up on working through the media. Let the media pick up what they want; our work is deeper, long term and requires a different kind of attention. As religious people, perhaps the spirit of the original Assisi event should be our guide – prayer, amongst ourselves and in the company of others. As teachers and educators, perhaps true dialogue and sustained educational efforts are the only way to bring about long term change. If so, then for all the good that the recent convocation of Assisi surely achieved it also points to the path not taken at the meeting, which is the path that our continuing efforts at advancing interfaith relations should take. 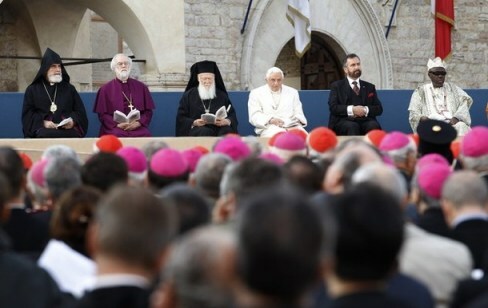 As noted, several of Elijah’s leaders had the floor at the Assisi gathering. The Sharing Wisdom section of our newsletter features two contributions that touch directly on the theme of pilgrimage and contextualize it within the broader interfaith context. The resonances between the two talks that follow, point to the depth of common vision that cuts across our traditions. In what in retrospect could be presented as a small follow-up to the Assisi meeting, The Elijah Institute, with the Lasalle Haus, is planning a conference that will explore themes closely related to the announced thematic focus of the Assisi meeting – Pilgrimage. With “Jerusalem”, the concrete site of pilgrimage for three religions, rather than the more abstract “Truth”, as the core concept, the conference will explore how pilgrimage to Jerusalem can serve not only as pilgrimage for the individual religions, continuing traditions that are thousands of years old. Today, we require pilgrims of all religions to be pilgrims of peace. What are the interreligious dimensions of contemporary pilgrimage? How do the sites associated with each of the traditions make it possible to approach the pilgrimage to Jerusalem as a pilgrimage of peace? The conference will take place in Jerusalem, December 28th-29th. The conference program and details for registration will be posted shortly to Elijah’s. There is a well know comment of the great rabbi Meir Simcha of Dwinsk, who lived a hundred years ago. He observed that this vision of peace had already taken place in the religious history of humankind – in Noah’s ark. Already there, predatory animals had to live a vegetarian existence and their potential prey could live in peace. However he points out that the profound difference between the situation in Noah’s ark and Isaiah’s vision, is that in Noah’s ark there was no choice. This was the only option available for the animals in order to survive the flood. Isaiah’s vision however, is born out of “the knowledge of the Lord” ; it is a vision that emanates from the deepest spiritual understanding and volition. For many in our world, peace is a pragmatic necessity as indeed it is, and we must not diminish in any way from the blessing for our world from such pragmatism. However what men and women of faith seek and for which they strive “to ascend to the mountain of the Lord”, is the appreciation of peace as the sublime expression of Divine Will and the Divine Image in which every human person is created. For demonstrating this aspiration in such a visible manner already in Assisi twenty five years ago, we owe a debt of gratitude to the memory of blessed John Paul II and we must give profound thanks to his successor Pope Benedict XVI for continuing in this path. Yesterday, 26 October, was a very special day for Hindus. Each of the billion Hindu homes was a-lit with countless lamps symbolizing hope and fraternity. This night, when light embraces darkness, Hindus pray. Hinduism is a pilgrimage from ignorance to truth, from death to immortality. This journey is of two kinds. Moving outside, we search for the truth that can be manifest in the physical world. We seek to strengthen ecological, social and economic systems. The equitable distribution of food and other material resources is the highest religious virtue and practice. Yet, there is the other: The pilgrimage within. We could not sustain the outward march unless we journey inside to the world of values and principles that sustain human behavior. Truth and Peace top the list of these universally applicable values—called dharma. For Mahatma Gandhi, Truth was God. As for peace, there is a distinctive Hindu prayer for that very thing. It is a prayer for peace in earth and sky, in vegetation and herbs, in water and air–but that is not all. The person who says this prayer, prays for the peace that comes in the process of peace itself. Peace can never be achieved through violent means. From Krishna to Buddha, from Mahatma Gandhi to Martin Luther King, Jr., to Bishop Tutu—all these pilgrims of truth declare that there is no way to peace. Peace itself is the way. Our common goal of peace can be reached through our commitment to truth—satyagraha. That commitment, if obstructed and denied, still finds its way—through non-violent non-cooperation. History stands witness to its strength. 25 years ago, here in Assisi, Pope John Paul II started us on today’s pilgrimage. So now we must reflect upon our progress along the way. Why have we not come closer to where we wanted to be? Are we missing the inward part of the journey? Dialogue will be a futile exercise unless we undertake it with humility, forbearance, and the desire to respect the “other”– and that too without wanting the same in return. This will empower us to say “no” to injustice of any kind. It requires a lot of courage, and that courage will only come from prayer. Let us therefore join Sri Caitanya Mahaprabhu, the great 16th century spiritual master, in his prayer: “I do not desire wealth or worldly enjoyments; nor do I seek fame or name. I only beg that I may serve others with love”. This is strenuous business. It requires us to see anew what the ancient Vedas declared: that the truth is one—and at the same time, that it is professed in many different ways. I bow down and salute to the Lord in each of you.